As I waited outside St. Columb’s Hall in Derry last Sunday night for the doors to open I eagerly anticipated an exciting night ahead. 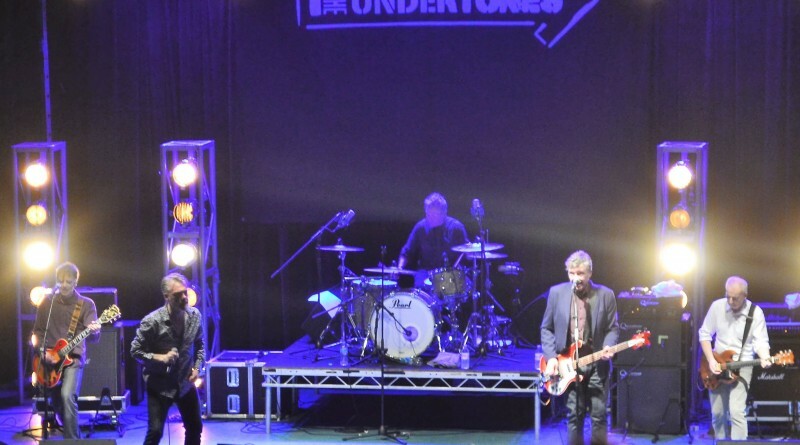 The musical legends that are The Undertones were back in town and I was going to hear them. I didn’t expect to meet someone rather special prior to the gig. However that’s exactly what happened. A young lady, Katrina Lynch and I got talking and she told me that she was really excited about the night ahead as her brother Johnny was The Undertones biggest fan. He was already inside and firmly placed at the front of the hall for his prime viewing spot. As we chatted I soon realised that Katrina’s brother was no ordinary fan. He really was a special one. 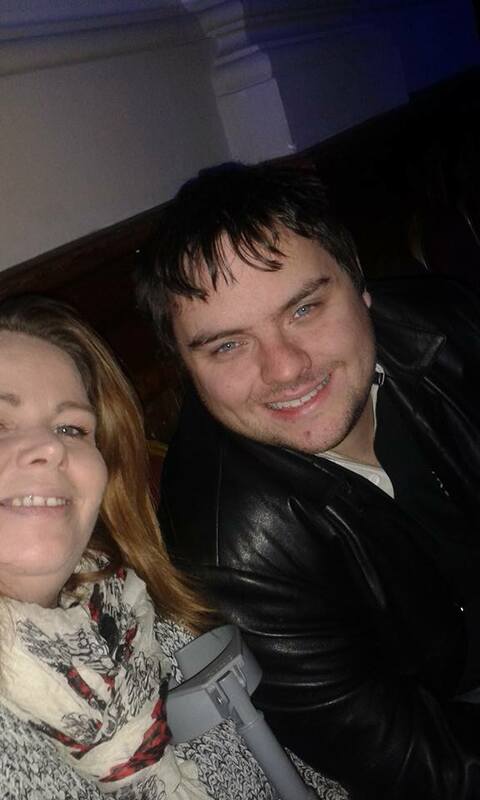 Johnny is 28 years old and has autism. Autism does not define this young man. In fact he has defeated all the odds and is making a real difference to the world. 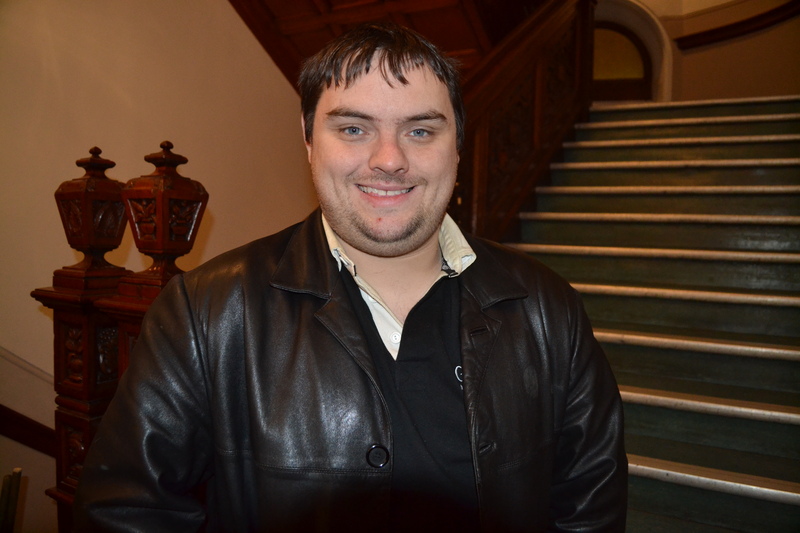 Presently John is studying at Ulster University to become a Music Conductor. This course of study will see him travel to England to help him pursue his goal. He is also an ambassador for the Derry region of Something Special, an organisation filled with creativity, learning, friendship, happiness and fun for adults and young people with learning disabilities. I could see the excitement on Katrina’s face regarding her brother seeing his favourite band over the coming hours and I knew that I just had to meet him. And so my night was already made before The Undertones set foot on the Derry stage. John Lynch was every part the gentleman as I was introduced to him and proceeded to question him about his love of The Undertones. I asked John to tell me something about the said band and he had me enthralled with the detail. They started in 1976 and they were playing wee gigs here before making it big. John Peel actually put them on BBC Radio One over in England. It wasn’t just John Peel who put them on the world map. It was also Terry Hooley who was the founder of Good Vibrations in Belfast. John was hoping that Sunday’s gig would be better than the previous one. “I’m hoping they play some of their new songs alongside some of their classics,” he told me. In regard to Fergal Sharkey, John believes that Paul McLoone is better and the band are superior now with McLoone at the helm. 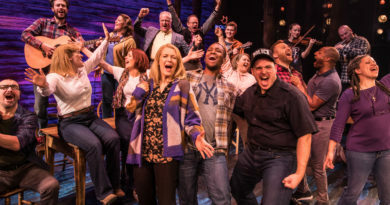 If John thinks they’re better now with McLoone, then they certainly are such. As The Undertones embark on the forthcoming year and their 40th anniversary celebrations, John is hoping to see a new album and some new music from his favourite band. On hearing The Undertones in Derry on Sunday night I don’t doubt that John will get his wish. The lads are sounding better than ever and really owned the Derry stage. Having sold out the show shortly after going on sale in November, St. Columb’s Hall was packed to capacity. One of the most attractive images on the night for myself was the coming together of young and old. How lovely to see such family generations coming out in force to see one of Derry’s greatest bands. 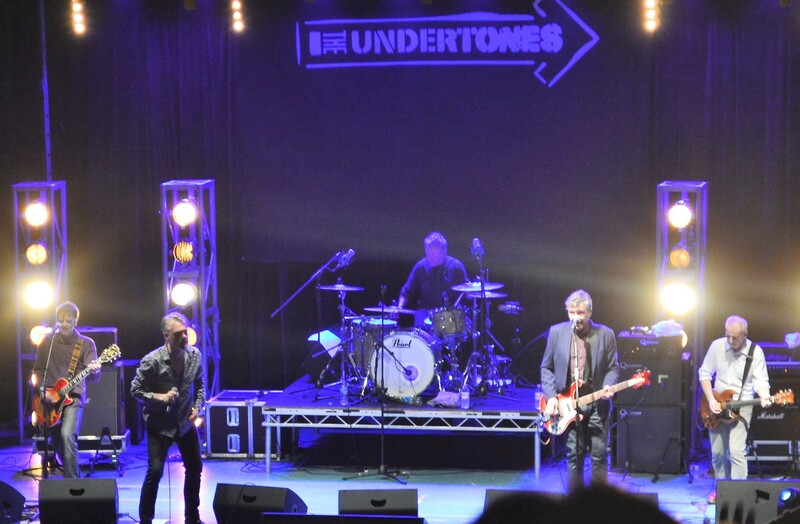 The Undertones took to the stage at approximately 10pm and for 90 minutes played solid, classic, punk rock ‘n roll. From ‘My Perfect Cousin’ to ‘Teenage Kicks’ the Derry audience were pumping from start to finish. Young and old enjoyed this musical end to the festive weekend. Michael Bradley, John O’Neill, Damian O’Neill, Billy Doherty and Paul McLoone showcased what music in Derry city was all about, is all about, and will be all about. As they prepare for touring and gigging throughout 2016, this Derry gig proved just how popular they remain in the modern day. As the 40th anniversary approaches, fans worldwide won’t be disappointed when they hear this five-piece punk band from Derry, having originated in the 1970’s, conquer the music world once more. The Undertones are back in town and like John, I’m glad to have caught them on this festive occasion. ← The discrimination of Sinn Fein?